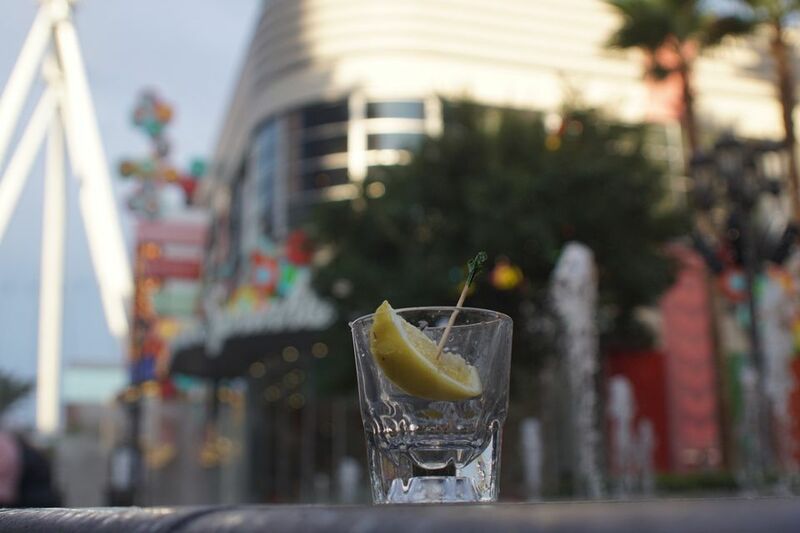 Tequila can be quite the acquired taste but whether you like to drink it right from the bottle, love it over the top of a few cubes, or if you prefer to line them up and shoot them back like you're on an endless spring break, Las Vegas has the best places for you to drink tequila. Considering that Tacos and Tequila at Luxor Las Vegas has more than 90 different Tequilas on hand you might be here for awhile but you'll have to attempt the entire inventory over the course of time. However, they do have flights of tequila already selected for you in order to help with your education. The dining room is hip and the atmosphere motivates you to learn a bit more about the essence of Tequila. Just don't book a trip to Mexico to find the source. There are plenty of options at T & T at the Luxor Las Vegas. Have a few drinks with a few of the Las Vegas strip, sample the Cabo Wabo Tequila and compare it to the Ambhar Anejo with a few tortillas to help the sampling. Great tequila and perfect Las Vegas location. A hand shaken margarita with Mexican food is about as stereotypical as you can get for a Mexican restaurant, but, in the case of Javier's at Aria Las Vegas, you need to do it. This is not cheap Mexican cuisine so you'll overpay for a taco but the drinks are legit. You'll want to find a spot on the patio with a view of the crowds walking buy at The LINQ or upstairs on the outdoor patio that has a view of the High Roller. Order wisely as their selection of Tequila cocktails is worthy of a few rounds. The tequila is liberally poured in the margaritas and the food is a Mexican delight. One Lengua taco and one shrimp taco along with that killer guacamole and your tequila sampling will be set and ready to commence. Watch people float by on the gondolas as you sip a few drinks. This is a place where you'll get good drinks and a fine meal for a pretty reasonable price. It's the Hard Rock so it is okay to feel like a rock star as you drop a few shots of the Agave juice. The food is good and the drinks are even better. The food is good, the drinks are fine and the atmosphere will get you in the mood for a long Las Vegas evening. They have a decent selection of Tequila but their drinks really do the trick. It's location right off the casino and the comfortable bar is why you'll hit Yolos when you are at the Planet Hollywood Hotel. Have a few drinks and soon you'll be in full Vegas mode. This is the party that you have heard about. Sit right next to the Las Vegas strip and have yourself a few drinks and your Las Vegas evening will be on fire.